The roots of the GMC brand go back all the way to the 3 Rs of early truck development, namely Randolph, Rapid and Reliance. Truly, the first GMC trucks were Reliance and Rapid trucks with GMC nameplates. However, there is no proof whether or not Randolph trucks also had an influence on the GMC design. Regardless, the GMC company started with the earliest root, the Rapid Motor Vehicle Company. Let’s talk about the GMC Logo, history and latest models below. In 1915, a total of 760 GMC cars were built, with capacities ranging from 3/4th to 2-tons and by 1916 more new models were released with capacities up to 5-tons. 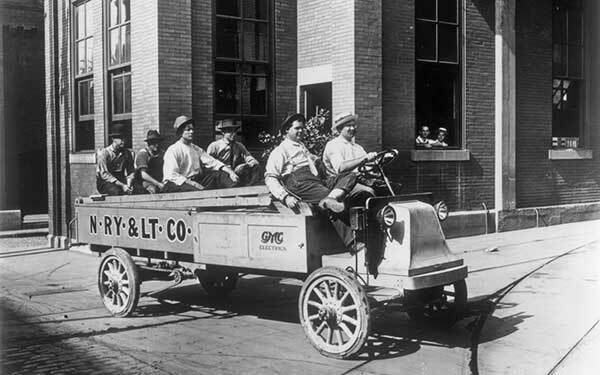 By 1917, GMC had built a total 509 electric trucks and the company had also provided the US Army over 8,500 trucks for World War I. Most of these were light aviation support trucks and 3/4-ton ambulances. In 1920, the GMC brand incorporated the use of pneumatic tires on light GMC trucks, replacing the traditional solid rubber tires. A year later, the new K-Model trucks were debuted that featured the famous Northway Engines. Additionally, dual-range 7-speed transmissions and electric lamps were available as standard equipment on all GMC trucks. In 1925, the Yellow Cab Manufacturing Corporation merged with GMC and brakes on rear-wheels were replaced by 4-wheel brakes. In 1930, the heaviest GMC models were introduced with tandem driving rear axles and within a year, GMC took over production of Buick’s 6-Cylinder engines, used metal sheets on its trucks’ front ends and two extra heavy duty vehicles were introduced. By 1937, the company had redesigned 23 of their vehicle models that featured the latest 2-color scheme and new streamline styling. A few years later, the production of three new small block engines began and diesel engines were released for the heaviest GMC models. In 1941, due to the impending war, GMC built nearly 530,000 trucks for the US army. Most of these trucks were powered by the latest GMC 270 CID Engine. By 1945, GMC had produced nearly 584,000 multi-drive vehicles for the war. The same year, government restrictions on producing civilian trucks were lifted and GMC returned to manufacturing new and stylish passenger trucks. 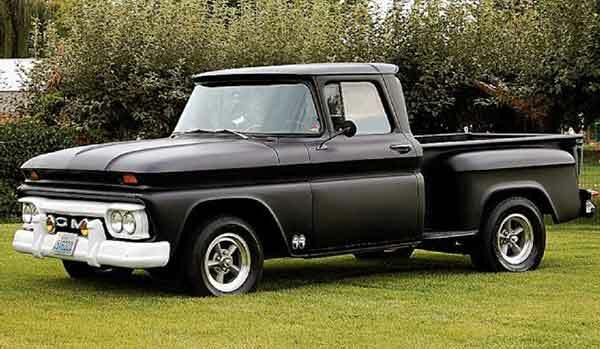 In the 50s, GMC gained significant interest in manufacturing commercial vehicles and introduced two heavy-duty diesel tractor models and many medium duty cabs. Additionally, the company also provided over 9,000 military vehicles for the Korean War most of which featured deepwater fording ability, Hydra-Matic Transmissions, and GMC 302 CID Gas Engine. A few years later, tubeless tires were made standard on all GMC trucks and power-steering was offered as an option on many models. By the end of the 50s, Hydra-Matics transmissions were replaced by Allison Torqmatic 6-Speed transmissions. In the 60s, most vehicles of the GMC brand were powered by new V12 and V6 gasoline engines. And by 1965, the company replaced torsion bars with coil springs for the suspension and leaf springs returned for the rear. Alternators were also introduced and most of the GMC trucks featured new styling cues and designs that were never seen before. In 1969, E-Series trucks were also replaced by the new C-Series trucks with V6 gas or diesel engines. In 1970, the all-new Rallywagon and Vandura were introduced which replaced the Handibus and Handivan, disc front brakes became standard, and new sprint light pickups were announced. Therefore, by 1972 the company reached 4th place among the top light truck manufacturers in the US and by 1979, GMC was in 3rd place in overall truck sales in the US. 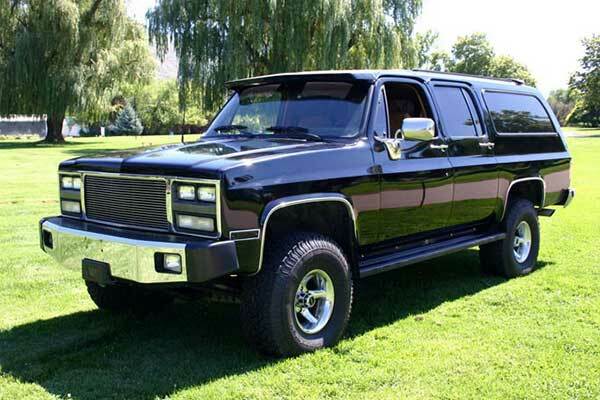 The 80s proved to be a successful period as well and the company managed to manufacturer many new trucks with great designs and exceptionally efficient and powerful engines that were in competition with Chevrolet and Cadillac Trucks. Mid of 1988, GMC then introduced the new Sierra full-size pickup trucks that featured vast improvements in all areas and cleaner styling. In the 90s, GMC trucks made even more significant improvements in their trucks and introduced Electronic Fuel Injection (EFI) to replace traditional carburetors and throttle body injection systems, thus improving overall fuel efficiency of all GMC trucks. In 2012, the company celebrated its 100 years of existence and released a book with the complete timeline of the company. Now, GMC exists as one of the best and most famous truck manufacturers of the world and has been renamed from GMC Division of General Motors LLC to simply ‘General Motors Truck Corporation (GMC)’. It is the second-largest North American automaker in the truck division ahead of Pontiac but behind Chevrolet and also offers vehicle financing and insurance. As you can see from GMC’s background, the company has a good reputation of building commercial and passenger trucks in the US. Do you find any of the trucks interesting? If so, then perhaps it’s time you purchase one! 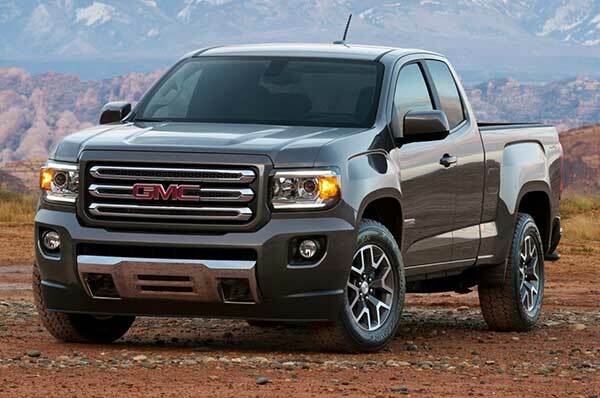 We hope you found everything you needed to know about the GMC emblem, the background of the company and the list of latest models in this article. Let us know in the comments section.